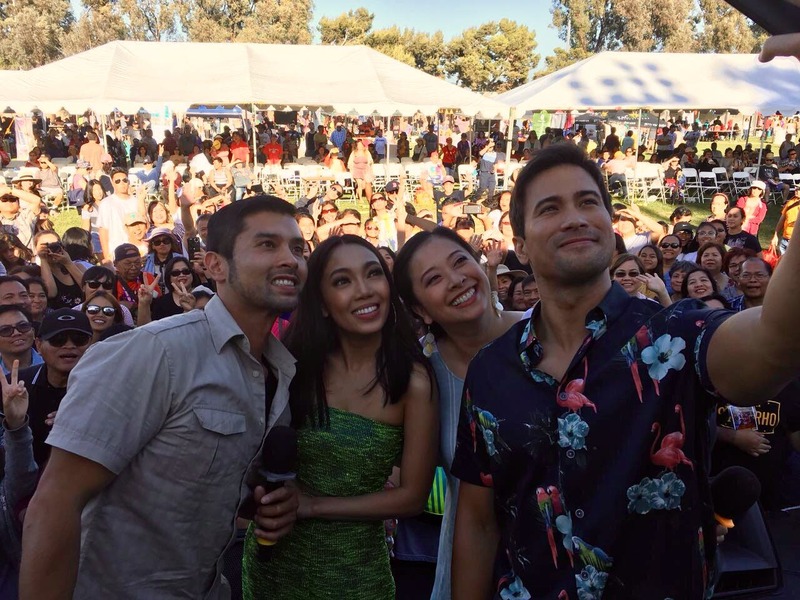 Thousands of residents from the City of Carson and nearby areas in Southern California made their way to the Veterans Park in Carson for the 120th Anniversary Celebration of Philippine Independence. It was a spectacular Saturday that started with the flag-raising, followed by an ecumenical service led by Rev. Emmanuel Orendain, pastor of Calvary Presbyterian Church, and then a community mass celebrated by Rev. Father Albert Avenido of St. Philomena Catholic Church. This was followed by the presentation of colors and parade led by City of Carson Mayor Albert Robles. Myx TV, the only English-language multicultural Asian American entertainment network in the United States, showcased their various talents during the Myx TV Hour hosted by social media phenomenon Jessica Lesaca, Host of “Week Sauce.” Gracing the stage were singers Rocky Sandoval, Jeserey, Jules Aurora, and Leanne Tessa of Club Mickey Mouse. Special guests Myx Host Joshua Manansala, Jamal McClerkin, host of Myx Digital’s “What’s in the Bag?” and Audrey Elizabeth, Myx Digital host were also there to spice up the Myx TV Hour. 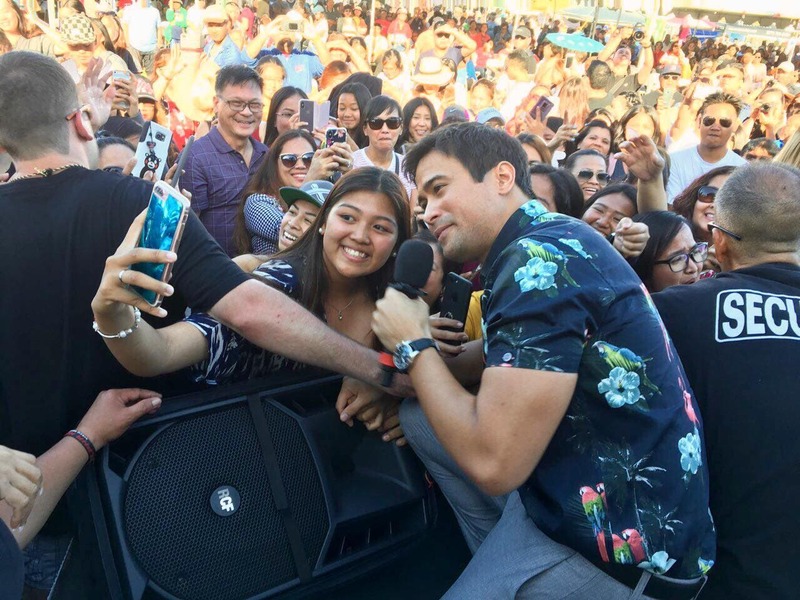 The much-awaited TFC Hour opened with SoCal locals- Adobo Nation’s LA Chika Reporter Anna Diaz and BA Correspondent Steve Angeles taking to the stage for some fun banter with the audience before introducing the main acts of the Philippines’ Soul Princess Jona and Rockoustic Heartthrob Sam Milby. 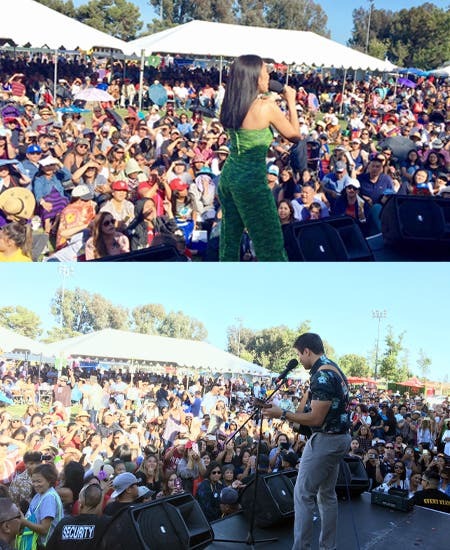 Jona and Sam enjoyed themselves as they performed for the SoCal community. Both artists went down from the stage and joined the crowd on the ground, as they continued singing, wanting to be with, and reach out up close to the lively audience. 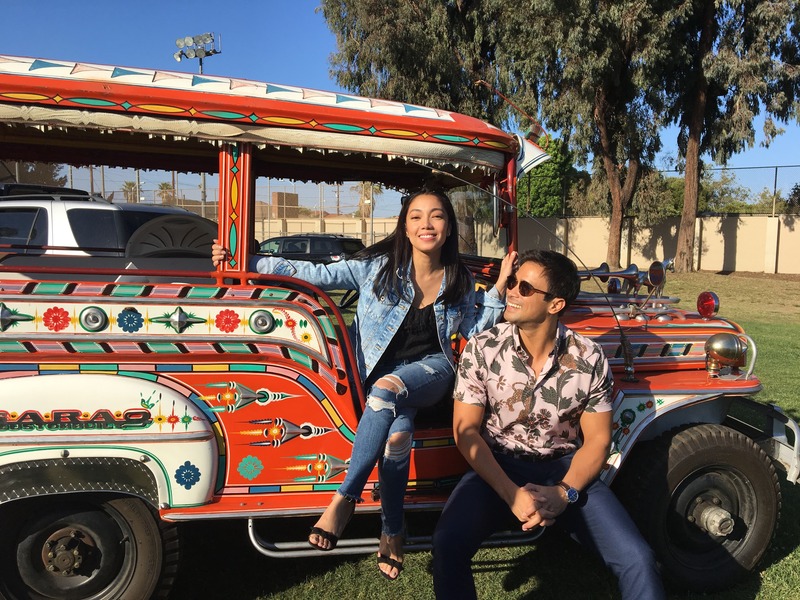 Jona, Sam, and ABS-CBN/TFC were presented with Certificates of Congressional Recognition by Congresswoman Nanette Diaz Barragan (California’s 44th District) Commendation and Plaques of Appreciation, and plaques of appreciation from the City of Carson. After the Carson event, Jona and Sam proceeded to the Hilton Hotel in Universal City to appear at the dinner gala event of Kalayaan Incorporated of Southern California at the Hilton Hotel in Universal City, celebrating the 120th anniversary of Philippine Independence.